The potential role of targeted focal therapy in the management of localized prostate cancer is yet to be well-defined, so a paper just published on line in the Journal of Urology is of value in helping us to set our expectations. complete ablation of all clinically detected cancer foci within the prostate using minimally invasive technique with preservation of the sphincter, normal gland tissue, and the neurovascular bundle. Have a diagnosis of low-risk, organ-confined prostate cancer (defined by a clinical stage of T1c to T2b, a Gleason score of ≤ 3 + 4= 7 on TRUS-guided biopsy, a tumor burden of ≤ 50 percent, and a PSA of < 10 ng/ml). Patients ranged between 40 and 85 years of age (mean, 60.5 ± 6.8 years). The average (median) duration of follow-up was 28 months (range, 26 to 31 months). Mean prostate mass was 39.3 ± 12.8 g.
Mean AUA symptom score was 6.0 ± 5.6. Mean sexual health (SHIM) score was 16.9 ± 8.3. Mean PSA was 5.1 ± 2.2 ng/dl. Mean number of positive cores found in 12-core TRUS biopsy was 1.41 ± 0.93. Mean number of positive cores from the mapping biopsy was 1.74 ± 1.13. 12/62 patients (19 percent) had a positive biopsy. The 12 patients who had a positive biopsy all had 1 or 2 positive biopsy cores exhibiting Gleason 3 + 3 = 6 disease. The average decrease in PSA level over 2 years of follow-up was 3.0 ng/ml. 18/62 patients (29 percent) had a rise in their PSA over the course of follow-up. The average decrease in AUA symptom score was 1.5 points. There was no significant decrease in the patients’ sexual health (SHIM) score. There were no episodes of incontinence or other severe side effects of treatment. Barqawi et al. report that TFC “provides a feasible and practical option for the treatment of low-risk prostate cancer with minimal impact on” quality of life in this series of carefully selected patients. The follow-up period is very short. The failure rate is probably higher than the treating physicians were hoping for. One has to ask how many of these patients needed treatment at all (particularly considering a man of 85 with low-risk disease!). The fact that the treatment was “feasible and practical” (which it certainly seems to have been) doesn’t necessarily imply that it was either appropriate or necessary. 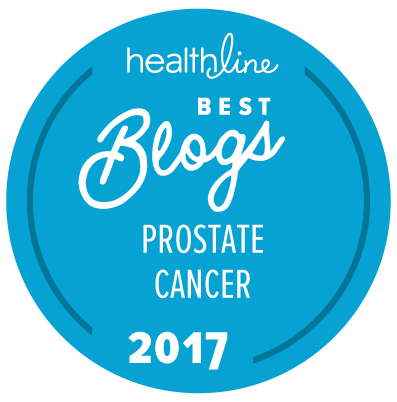 Having said that, there are always going to be some patients diagnosed with low-risk prostate cancer who are unable to “deal with” the idea of short- or long-term active surveillance. The idea that one might use something like TFC to treat a 40- or 50-year-old man diagnosed with low-risk disease is probably a better one than the idea that one would give him an (almost literally) “full-blooded” radical prostatectomy. But doesn’t one then need to be able to carry out that TFC or other form of targeted focal treatment with something like 95 percent effectiveness at 2 years of follow-up? The “New” Prostate Cancer InfoLink is going to need to see more compelling data than these before we would start to consider that the value of targeted focal therapy was demonstrably “proven” for men with low-risk disease who are unable to handle the idea of active surveillance. This information is encouraging. I had this procedure done a couple of years ago and the second biopsy revealed no cancer. Most recently a PSA check found only a slight increase from 0.31 to 0.06. I have a regular follow-up in April. The procedure did destroy nerve endings though — a trade off. I think there must be an error in the PSA data you provided. Did you mean that your PSA had risen from 0.03 to 0.06? Why would a candidate for active surveillance even consider this invasive procedure with a 19% failure rate? The author attempted a salvage procedure on me using TFC. (I was post-seeding and IMRT failure.) When my post-op PSA was higher than the pre-op level he lost interest in me. Ultimately, metastases were found in my lungs. Pertaining to recent PSA. The actual recent reading is 0.6. Sorry about that. Hmmm … It is always very difficult to interpret PSA data from men who have undergone any type of focal or partial treatment of the prostate because they clearly have significant amounts of normal PSA-producing prostate tissue left in situ. Thus, it is almost impossible to know whether a rise in your PSA from 0.3 to 0.6 is clinically meaningful at all. On the other hand, if it was to double again to 1.2 ng/ml in the near future, then I would be asking your doctor whether s/he thought that was indicative of anything.